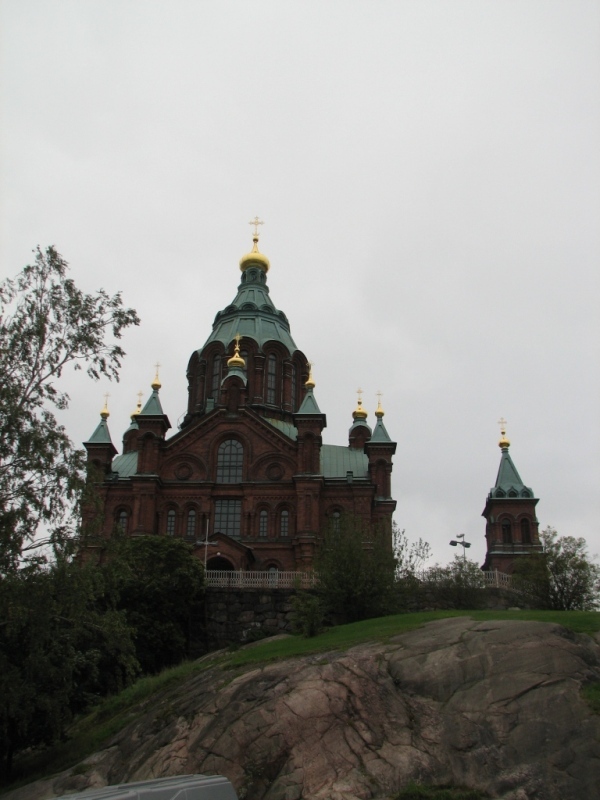 Helsinki or Helsingfors is the capital and largest city of Finland. Thanks to Nokia and Womworld I got a chance to visit Helsinki. 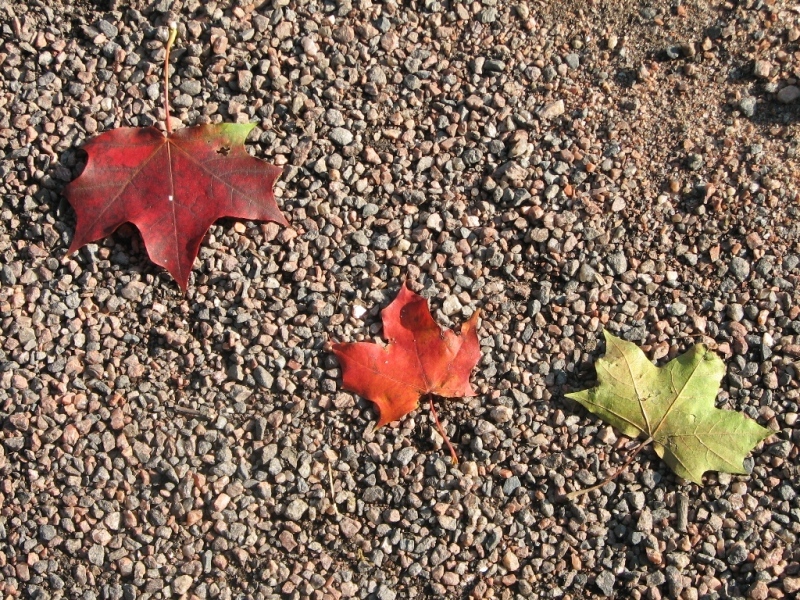 After three days of very interesting OpenLab workshop, I had two days to roam around in Helsinki. Like any backpacker I looked for a Hostel to stay. 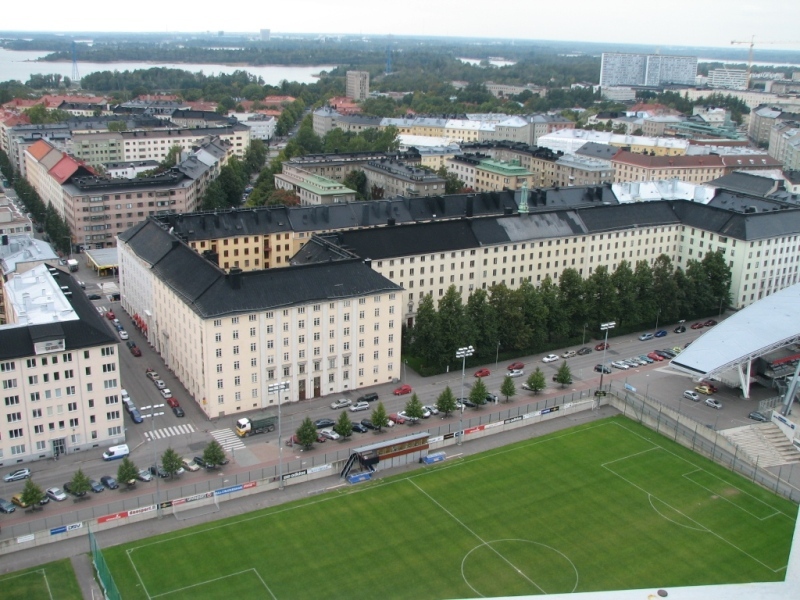 The Helsinki Stadium Hostel seemed very interesting as it is inside Olympic Stadium complex. The hostel is pretty good (with free wifi) and I got discount as I has YHAI membership. Weather was awesome. So choose to walk around on day one. Later used trams and local bus. 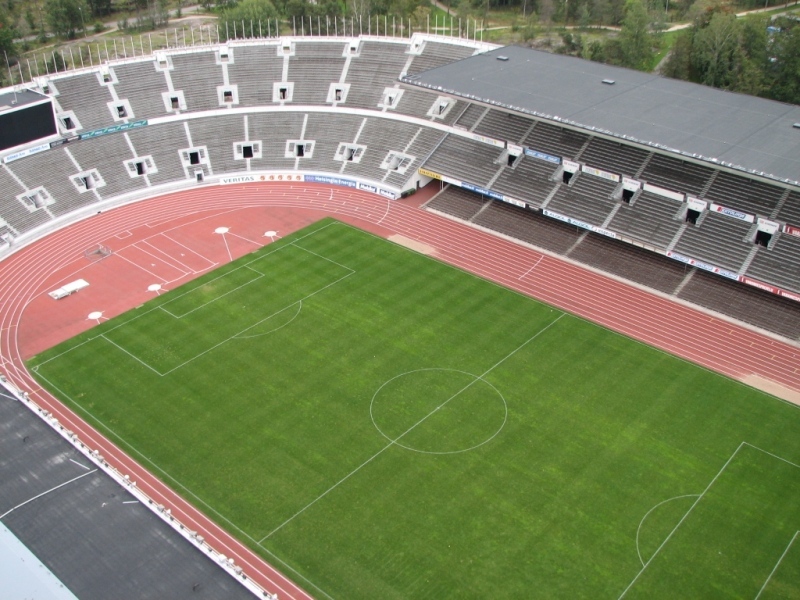 Helsinki Olympic Stadium is 2kms from the city center and is built for 1948 summer Olympics but used for 1952 Olympics. Just behind the stadium was my hostel. 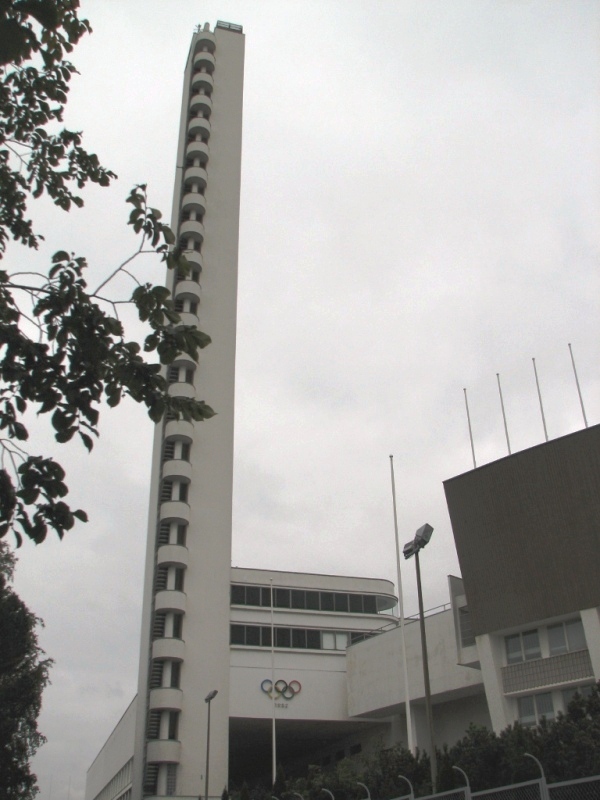 The above picture of Olympic stadium was taken from the top of stadium tower seen in this picture. The tower is 72m high and is a good place to get the view of city. City of Helsinki as seen from the top of Olympic Tower. 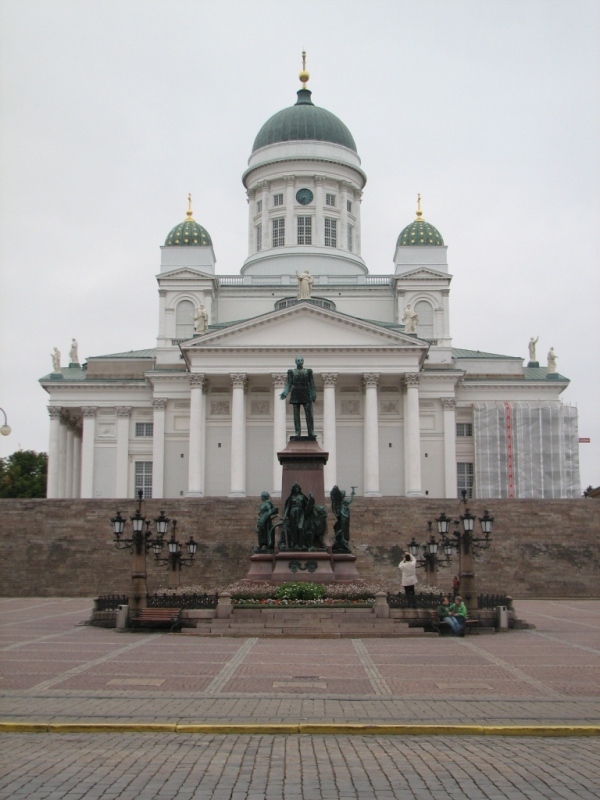 I started with Helsinki Cathedral which is a distinct landmark in the central Helsinki. 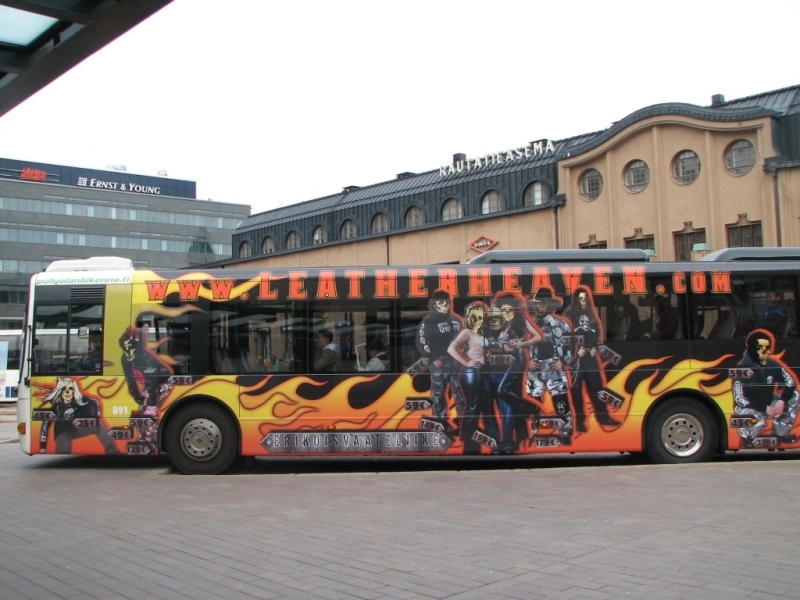 It is one of the most popular tourist attractions in Helsinki. I had to wait till late evening to get a clear photograph of this landmark. 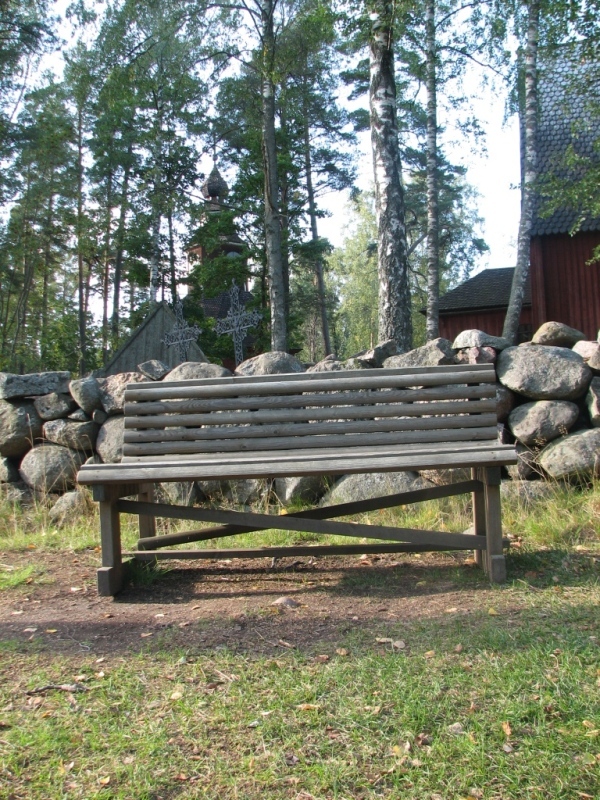 On the final day of OpenLab workshop my self and other OpenLabers went to Seurasaari Open-Air Museum. 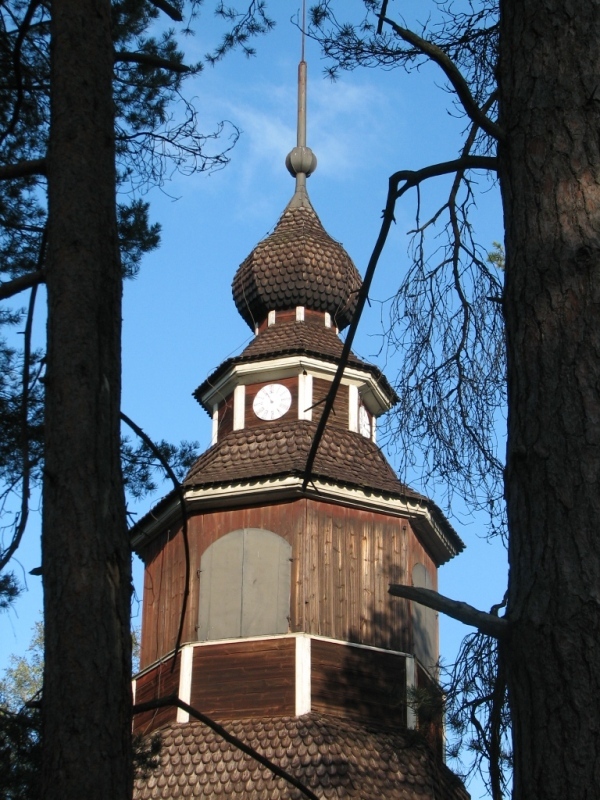 Its few kilometers from the heart of Helsinki situated on an island. At the museum the traditional Finnish way of life is on display. 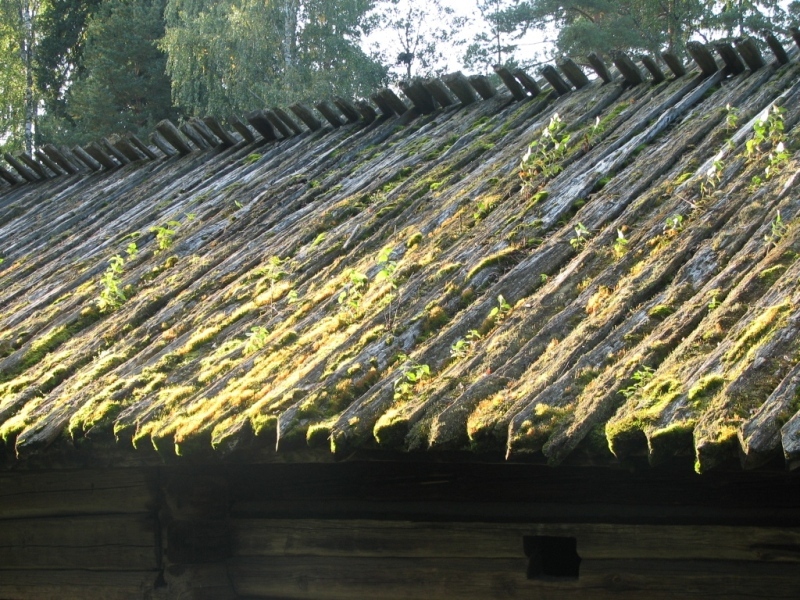 Some wooden houses have been relocated from all around Finland. 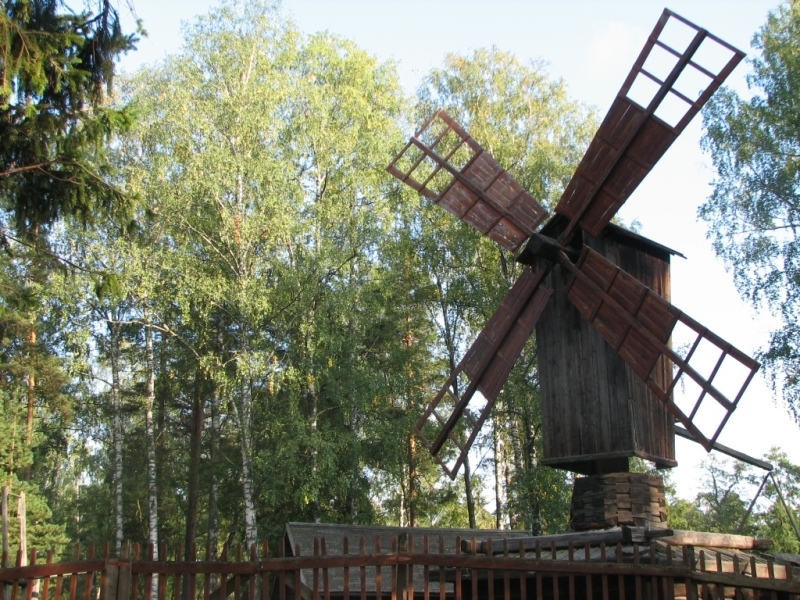 Wind mill at Seurasaari Open Air Museum. 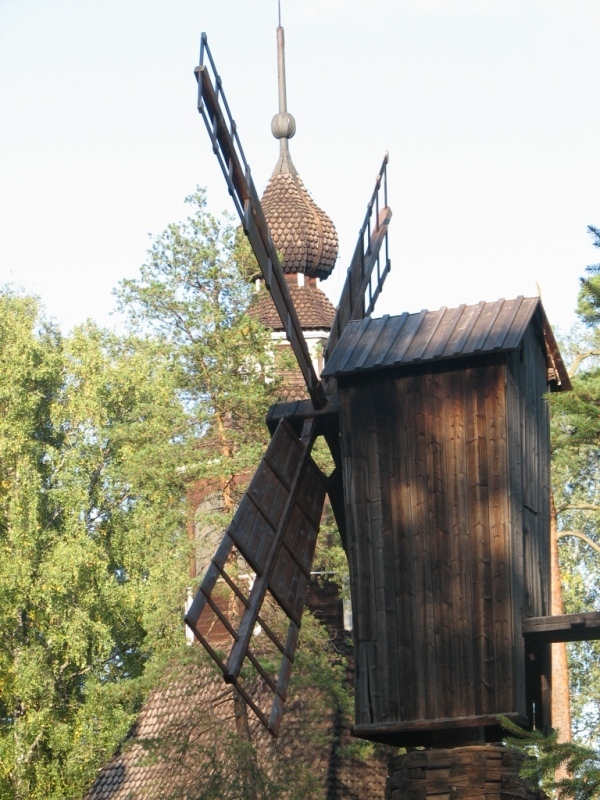 Wind mill at Seurasaari Open Air Museum. This time there is a dome in the background. Its the same tower which is in the background of the above image. 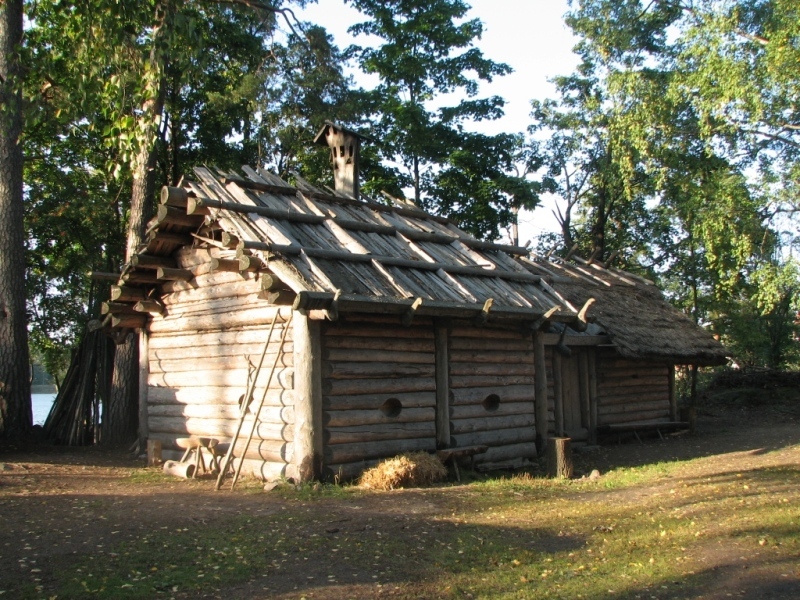 This wooden house is part of The Niemelä tenant farm at Open Air Museum. It has a smoke sauna inside it. 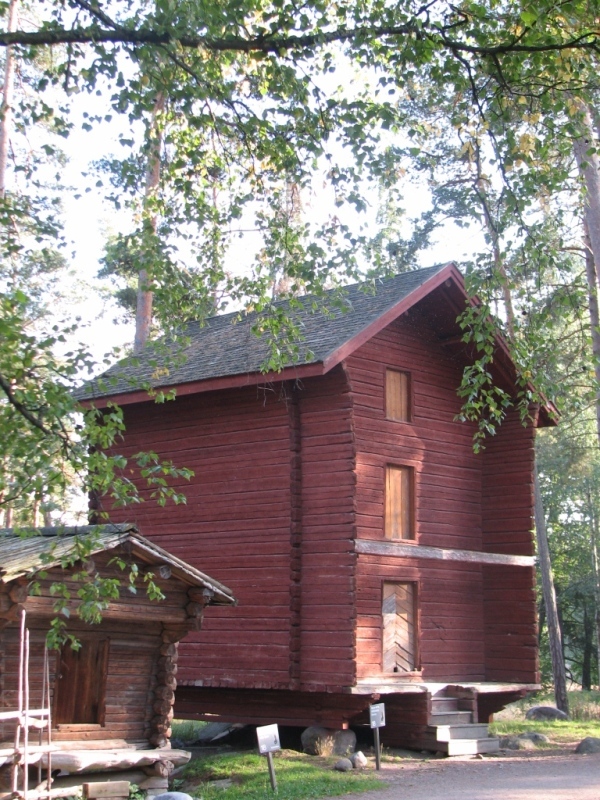 This red wooden house is one of many wooden houses which has been brought to museum from all around Finland. I have named it as “before and after”. Guess! 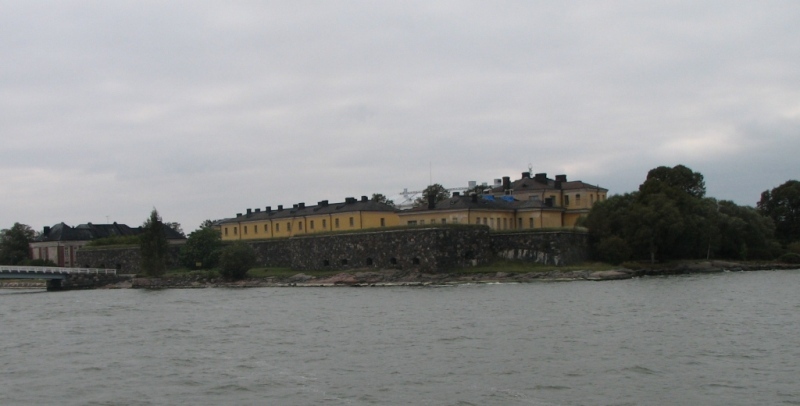 One of the must sees in Helsinki is Suomenlinna sea fortress. 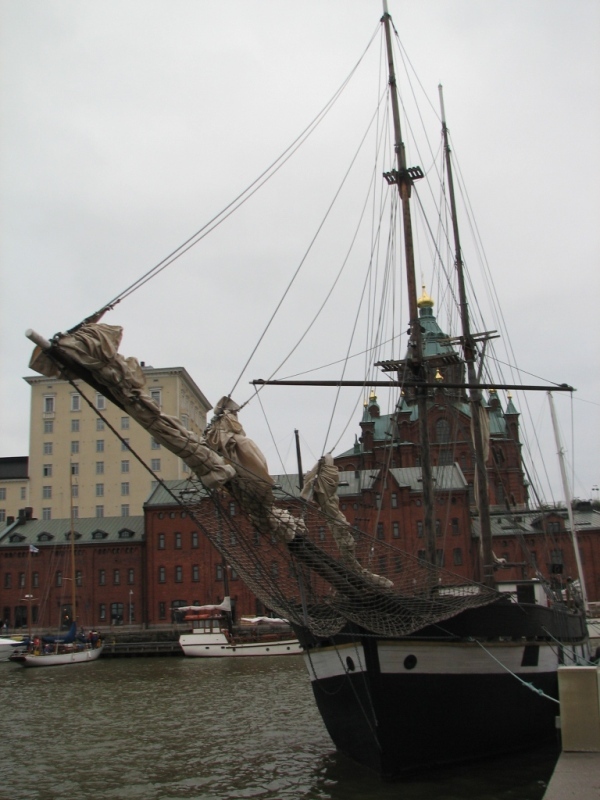 To go to Suomenlinna you need to catch ferry from market place. Kauppatori in Finnish (Flea market) is very near to the city center. You can catch a ferry from here to Suomenlinna. 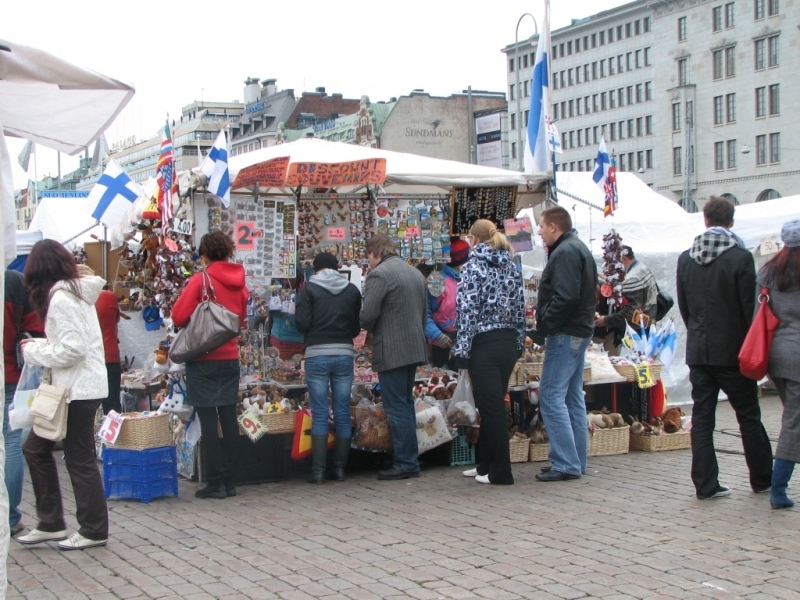 The market has lot of open air cafes and local Finnish food vendors. Its the same church seen above taken from harbor side. Suomenlinna is an inhabited sea fortress is UN World Heritage site. The fort has six islands and is big enough to spend whole day. 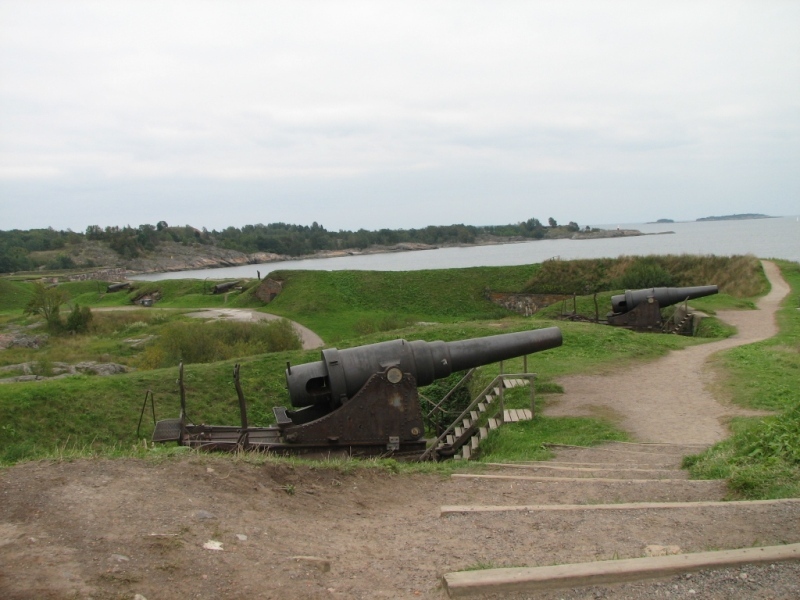 Cannons at Suomenlinna facing sea. They are really big and there are many of them all around the fort. 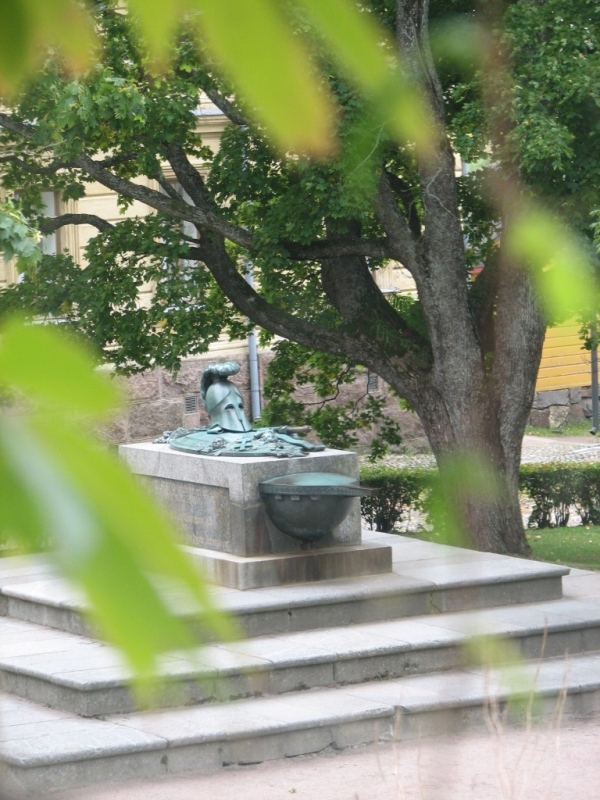 Augustin Ehrensvärd’s grave at Suomenlinna. 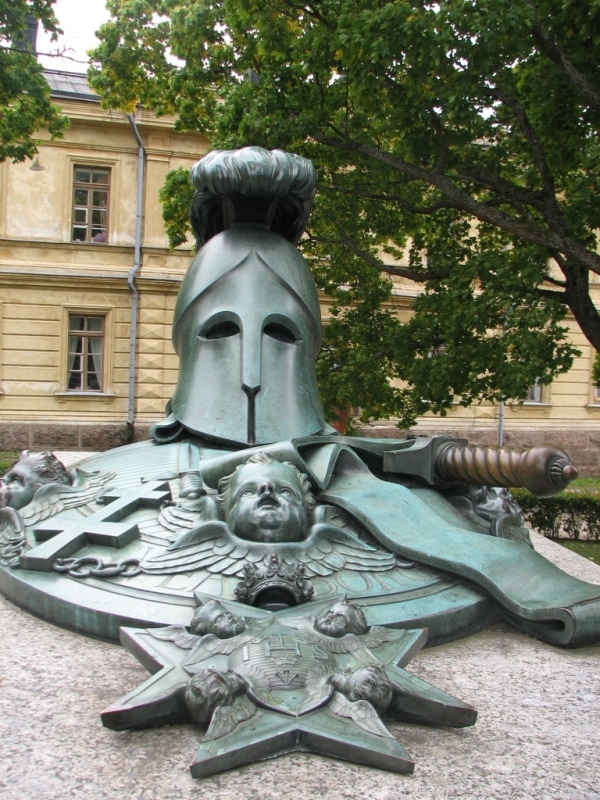 He was a Swedish military architect who designed Suomenlinna. 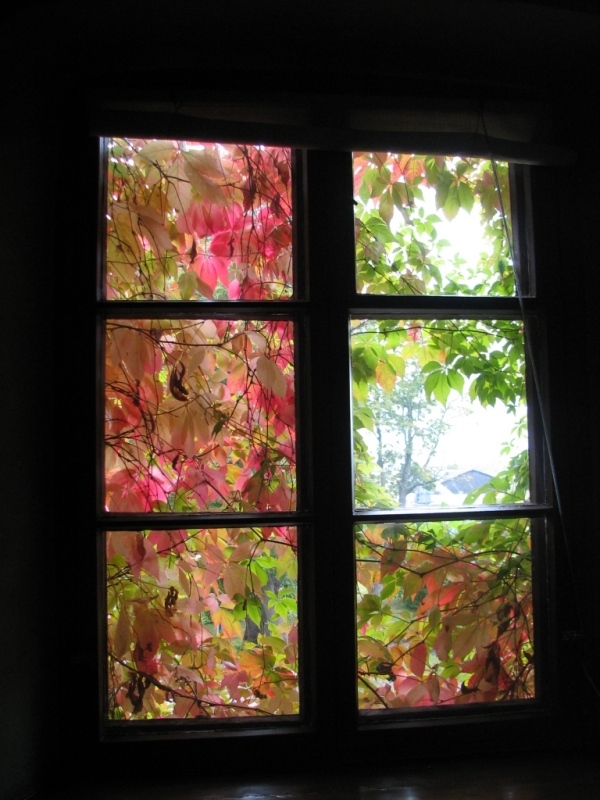 I call it magic window. 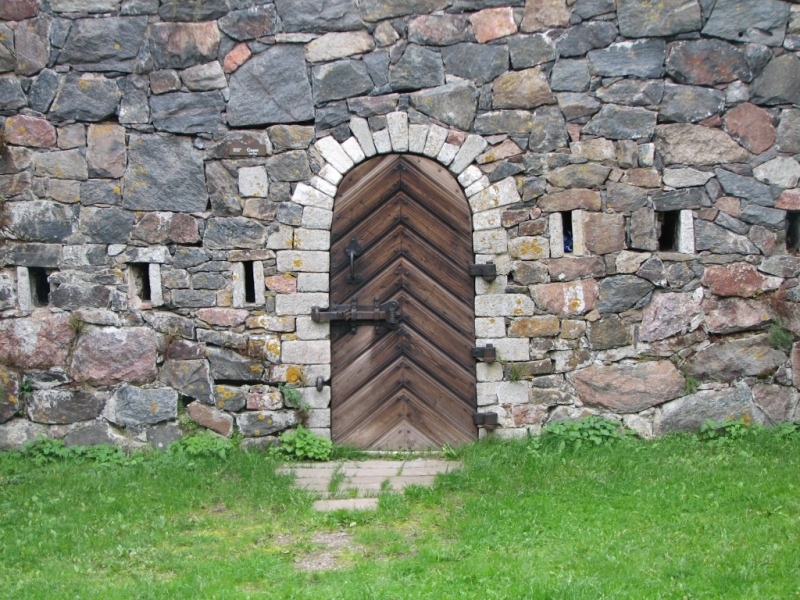 Taken in one of the building inside Suomenlinna. Then we have a magic door. Yet another view of Augustin Ehrensvärd’s grave from inside a building. Museum of Contemporary Art Kiasm is in the heart of city. 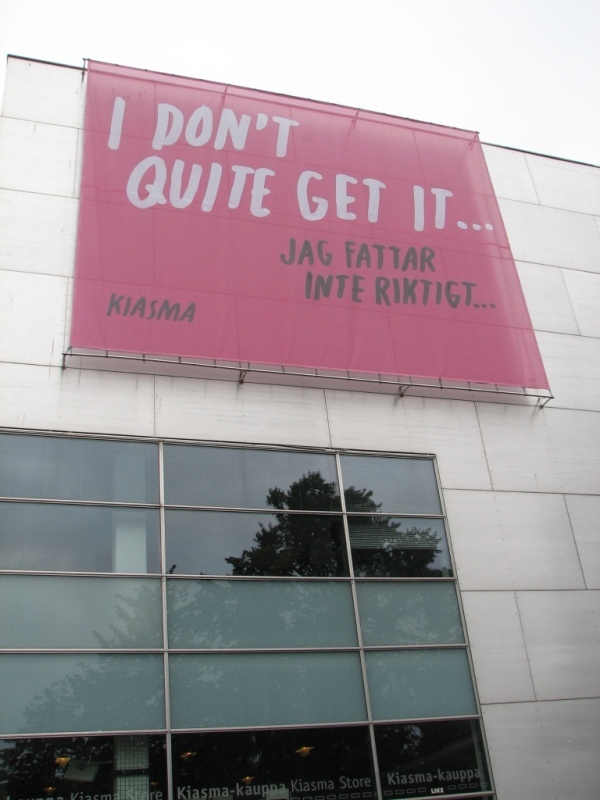 The museum exhibits the contemporary art collection of the Finnish National Gallery. They are available online too. Colorfully painted bus at the main railway station. 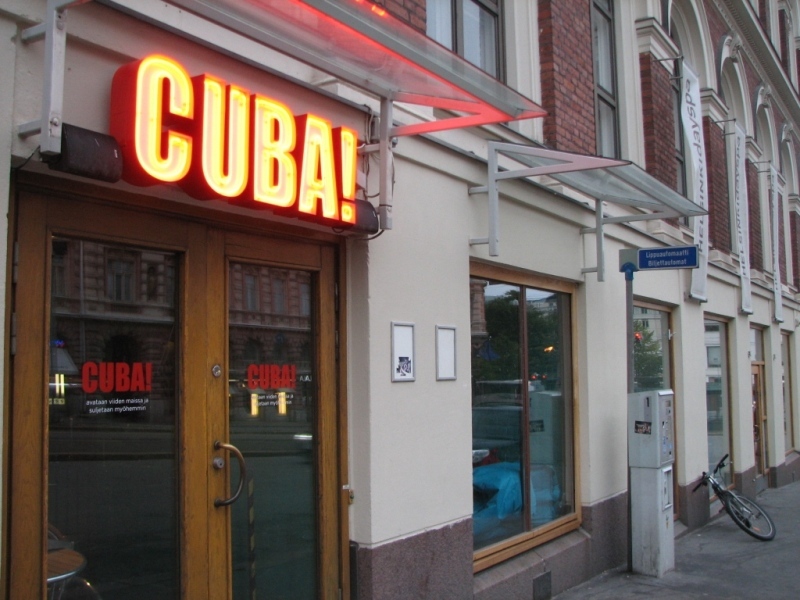 Restaurant called Cuba at the city center. People of Helsinki are really really friendly. They are always ready to help you. Most of the young generation can speak English. The traffic in the city is very low so you can hire a bike or walk to see around. My personal suggestion is to use tram thanks to twilightfairy. You can take 3B/3T if you like to feel the city. How could I forget that! damn me. Two Bangaloreans met for the first time in Helsinki all because/through twitter. Twitter played a major role in this travel. Met Bhuwan at Helsinki for the first time even though we both live in Bangalore. And thanks for the beer dude. forget the beer, I loved your pictures. Did you tell me that you shot all these with a point-n-shoot? beautiful pics TGN. If yor are still in helsinki. 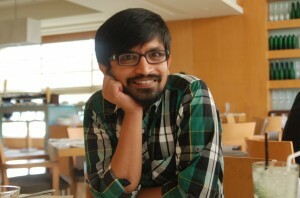 You should have a look at some of their contemporary architecture, beautiful buildings — http://tiny.cc/v5vhs. If you cant at least alvar alto’s buildings http://en.wikipedia.org/wiki/Alvar_Aalto. Will guarantee maximum happiness. Nice pics. Brings back memories of my one day travel to this place. I did not get time to see around. I miss finland! :| .. hope to go there soon again.. These are awesome pictures – thanks for showing me what I missed! Now I am regretting I didn’t stay a few days longer. The whole weekend was amazingly intense and went by too quick! Great coverage! It feels like I have almost been to Helsinki now.